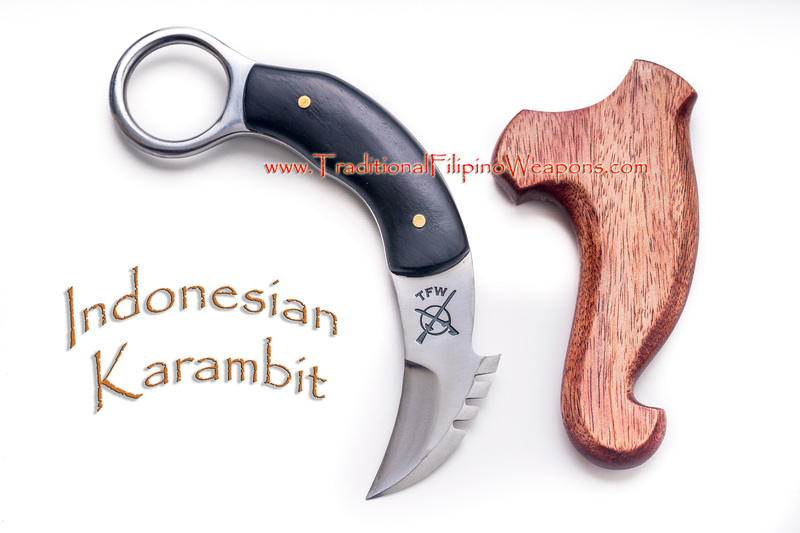 Having a very similar training knife design to the razor sharp TFW Karambit. 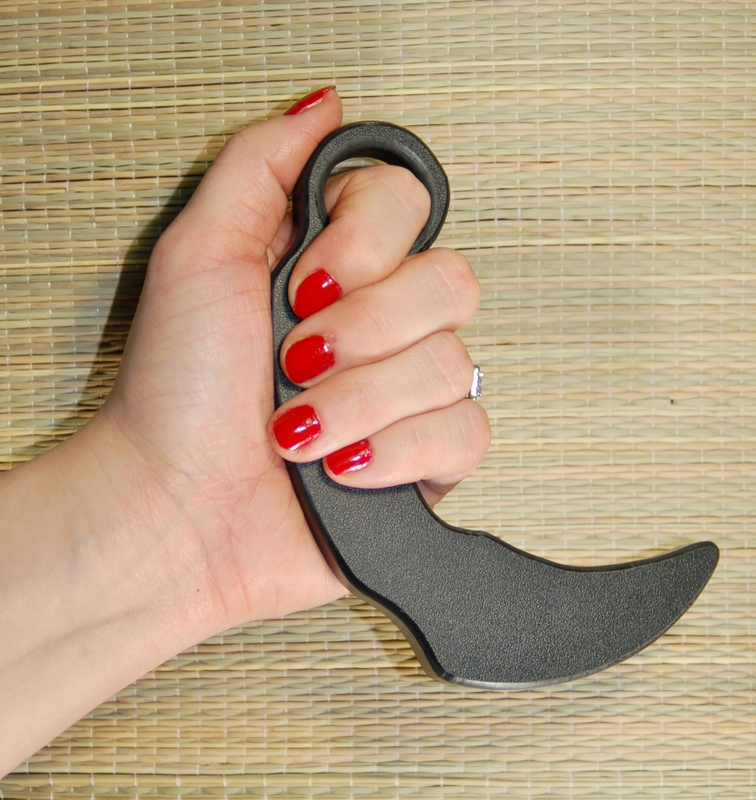 This training Karambit is made of a very durable high density polymer. 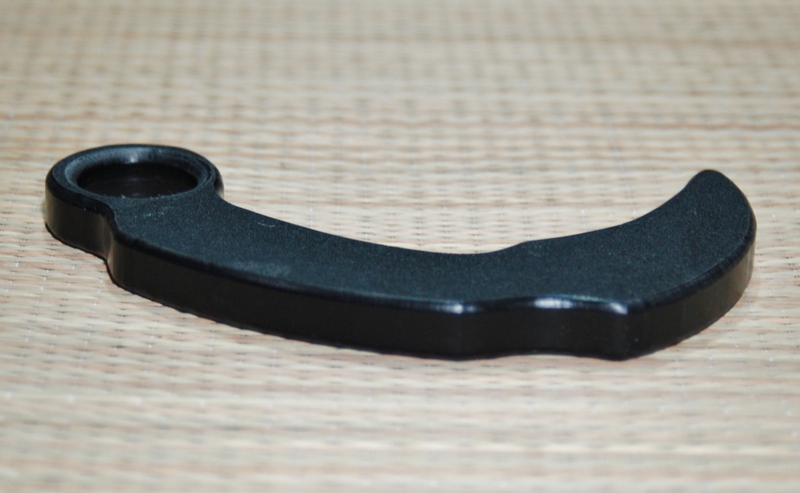 This high density polymer Karambit can be dropped on hard floors or cement with out damaging it. 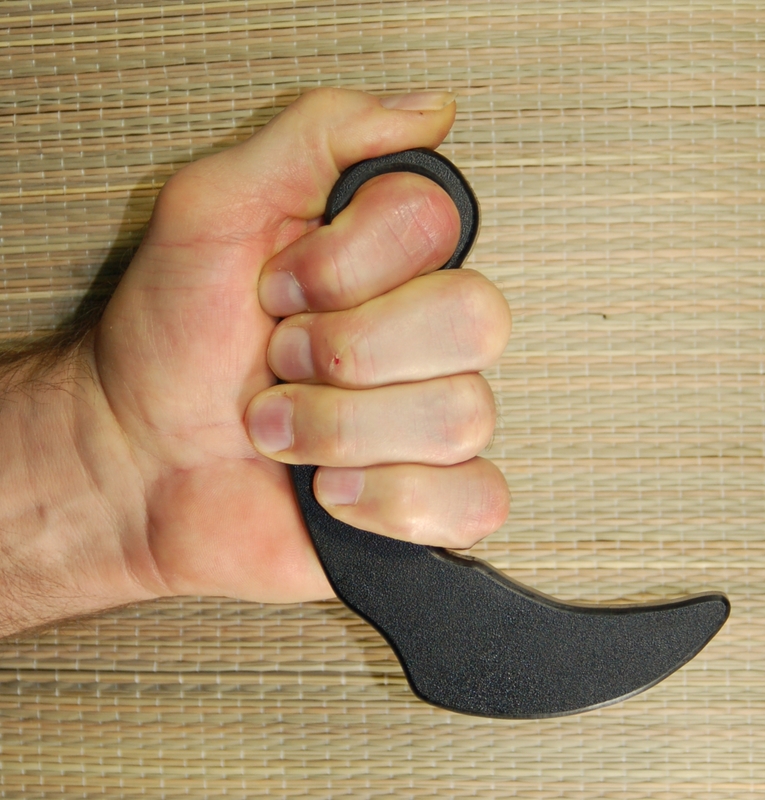 This training Karambit is a half inch thick with round edges for safety during practice drilling. 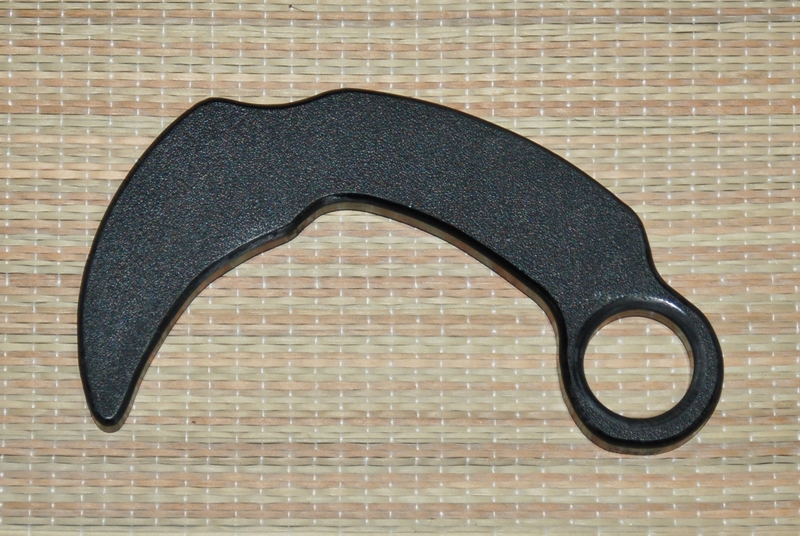 Safety glasses are always recommended when drilling, sparring or practicing techniques due to the nature of the use of the Karambit.